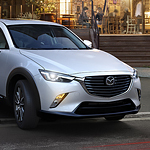 In the popular subcompact crossover class, the Mazda CX-3 offers drivers a stylish ride with plenty of performance on the highway and comfort in the cabin. With innovative technology at your fingertips and superior safety, it's a vehicle that ticks all the boxes. The Mazda CX-5 is packed with technology, making it a popular crossover SUV. At Ontario Mazda, we’re excited to show you how the features can offer you a safer and more comfortable ride. The Mazda CX-5 offers smartphone integration. 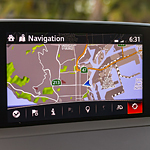 You can choose Android Auto or Apple CarPlay as a way to access maps, contacts, playlists, and more through your smartphone. It will allow you to take a hands-free approach. Everything can be accessed with a single tap or voice command. As soon as you visit us in Canandaigua, we’ll show you just how impressive the Mazda CX-9 is. There’s a lot of technology that will impress you. It’s no surprise that it’s such a popular 3-row SUV. 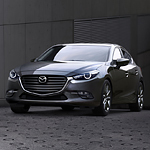 Now that Ontario Mazda has the Mazda3 sedan in stock, our team thought this would be the perfect time to focus on a few safety features that make this popular compact car the vehicle to own this year. 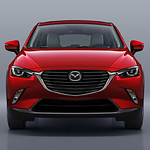 A very quick glance at the list of gadgets and tech features in the new Mazda CX-3 subcompact crossover makes it very evident why it is so popular with drivers here in Canandaigua and across the nation. If you are in the market for a new vehicle, you may want to consider purchasing one of the used, certified, pre-owned vehicles that are part of our used vehicle inventory. This certification is used to show our clients that we are selling vehicles that are reliable, efficient and trustworthy. 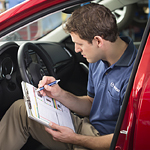 Each vehicle will have certain criteria inspected. If it does not meet requirements, that vehicle must go through certain repairs and service before it can be listed as part of our inventory. Engineers have worked hard to boost the performance of the Mazda MX-5 Miata RF. The 2019 model year marks the lightest model yet. At Ontario Mazda, we’re excited about the car and can’t wait to show it off to you in Canandaigua. If you are looking for a mid-size sedan to get you from place to place in Canandaigua, consider the popular Mazda6. This vehicle was designed in a special way and it has much to offer. 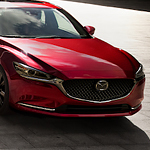 You can pick the exterior color that suits you best when it comes to the Mazda6. If you would like a red car, you can have that. If you would like a neutral colored car, you can find an option for that. The LED headlights at the front of the Mazda6 add to the beauty of this car. Hatchbacks have long been valued for their convenience in switching between carrying passengers and stowing cargo, thanks to their ability to reorganize the back-seat configuration easily. 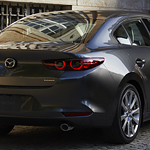 The Mazda3 is a popular five-door design that offers drivers all the utility of a hatchback with the sleek design of a sedan.